A meditation on migration of every sort. 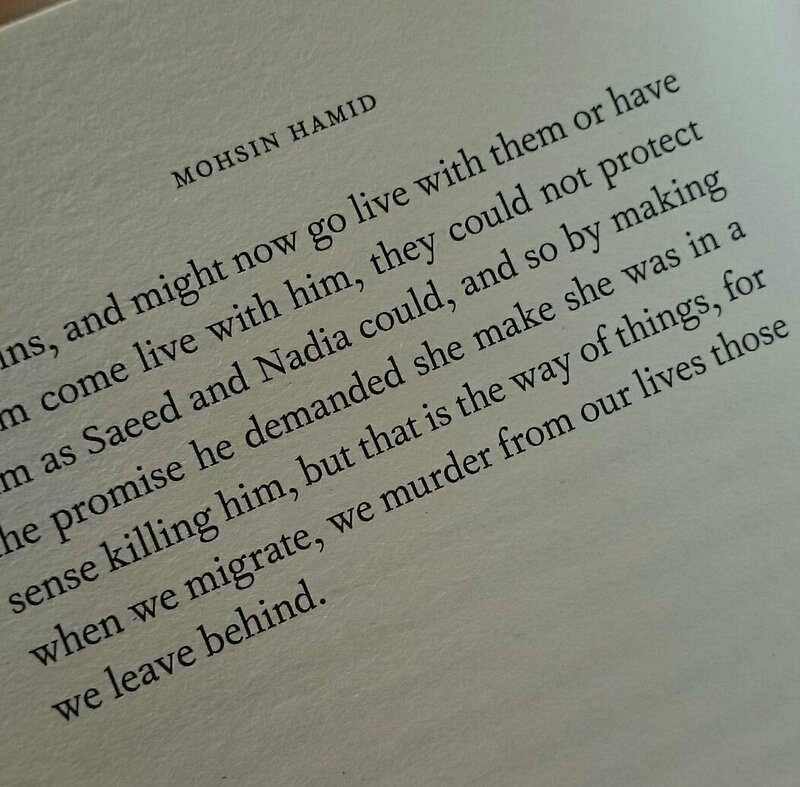 As a muslim migrant who has chosen life outside The West I feel like Hamid is chronicling the particular world I inhabit more than any other writer I can name. The major story arc is a refugee couple from a country that could be anywhere succumbing to war, interspersed with vignettes of migrant workers, immigrants, displaced people, wanderers and various other peoples on the move. I liked it best when Hamid was working in the aloof anonymous anywhere-land that Get Filthy Rich inhabits. When the refugees land in real places with real names the book feels outdone by the equally fantastical events that are transpiring around us in real life, while the magic isn’t compelling enough to envelop in an alternate timeline. The magic black doors allowed for quick scene changes, letting the book move at Hamid’s usual brisk pace, but were just too obvious as metaphors to be interesting. Although I didn’t care for the foray into magical realism, the characters, the human insight, the wild careening prose that goes from distant sardonic humor to intimate, even painful observations in a sentence are as wonderful as in his last book. My general rule in reading is to alternate fiction and non-fiction. After Exit West it made the most sense to me to tackle Graves of Tarim next.